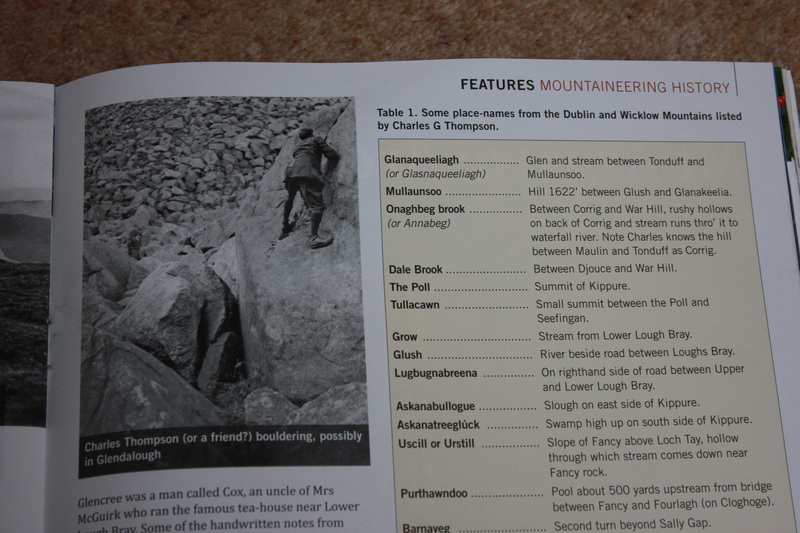 This quarter’s issue of Irish Mountain Log contains an interesting piece by Barry Dalby of EastWest Mapping about Charles Thompson a mountaineer, teacher and collector of placenames. 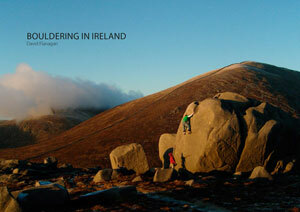 Among the photos is one of Thompson – or possible a friend – bouldering in Glendalough. It appears that most of Thompson’s climbing was done early in his life so the photo probably dates from the 1920s which must make it one of the first photos of bouldering in Ireland. Dalby suggests in the caption that the photos is possibly Glendalough but I’m almost certain that the problem in question is on the large boulder that lies just off the path between the Path Area and the Ruins. The boulder is crossed by a sloping diagonal ramp. I will confirm next time I’m there. Nice respond in return of this matter with genuine arguments and explaining the whole thing concerning that. reason that i want enjoyment, for the reason that this this website conations in fact good funny stuff too.